Forget contacting individual companies on Google and hoping they’ll reply. On ServiceSeeking.com.au, our network of thousands of local businesses – the biggest of its kind in Australia – will compete for your job and ring, email or SMS you back within minutes, based on your contact preferences. Unlike other companies, we don’t limit your request to 3 or less quotes from businesses. Whether you’re hiring a tradie, an accountant, an architect or photographer, there’s no better advice than to get multiple quotes for your job or next big project. Once you post your job online or through our iOS or Android Mobile Apps, we’ll send it out to businesses in your local area. 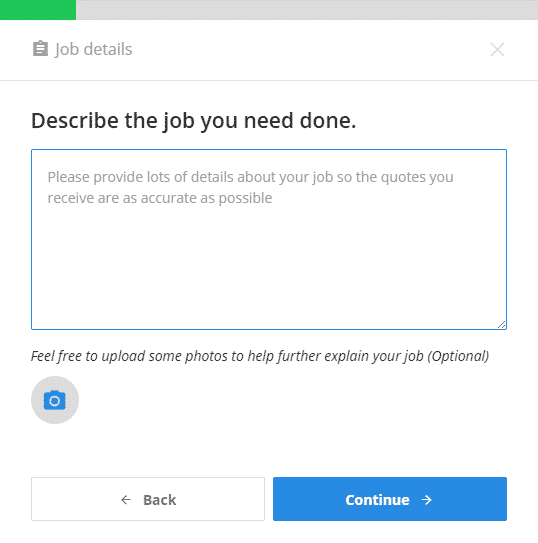 Based on your contact preferences, you’ll then receive quotes for your job in minutes either by phone, text message or email. You can then keep track of your jobs in your ServiceSeeking.com.au dashboard or via your account in the mobile app, available on iOS and Android.